When I lived in Chicago, this trashy bar on my street (Division) had a giant Jenga game in its window. I always thought the game was rather cool, but was a bit afraid to play it in fear that the giant blocks would come crashing down on me. 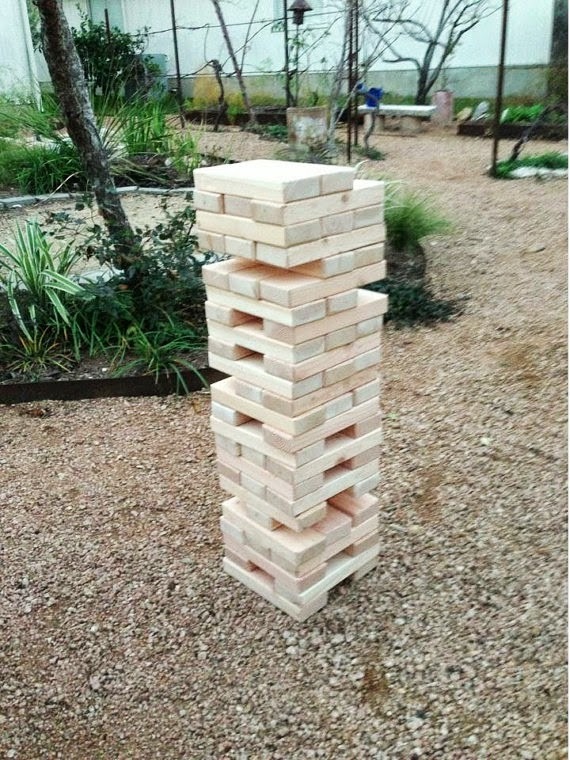 Now, as I see on the Facebook, a lot of people either play Giant Jenga at bars or at home. If you aren’t savvy enough to make one of these at home, never fear – Etsy is here! You can buy your own Giant Jenga (or block game to avoid copyrights!) for $140.00.